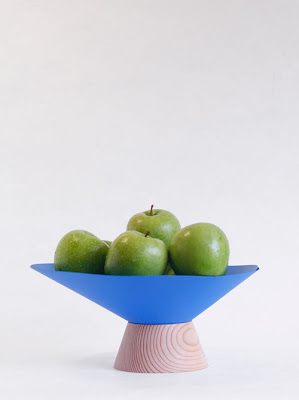 It is a visually exciting combination of wooden base with a brightly colored bowl. I first saw this link on Design Milk and have tried to follow the link there to La Mamba, the company credited with the deign. I can't find it at all. 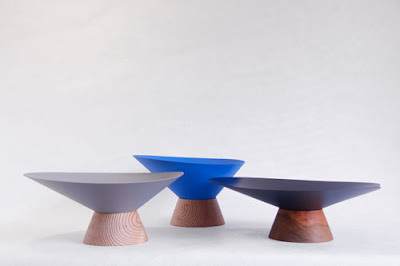 Design Milk notes it is from the Omlette-ed product line. I wanted to know if the top is a plastic top wrapped in a funnel shape. Sure does look like but I can't seem to locate the information. Doesn't keep me from loving the design though.